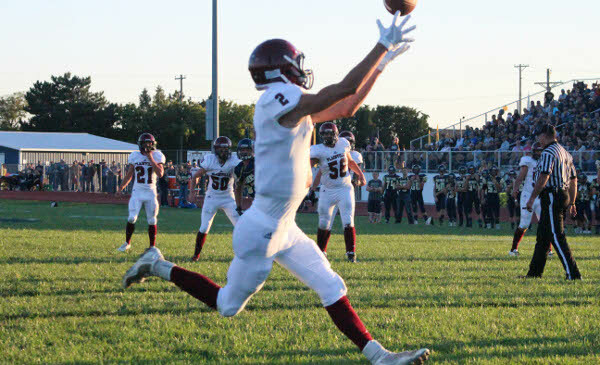 Kpreps.com would like to congratulate Rachel Martin for submitting the winning photograph for Week 3 of the Kpreps Friday Night Photo Contest. Rachel’s photo captures Plainville’s Dylan Wallace attempting to haul in a pass from quarterback Hayden Friend. The Cardinals opened the season with wins over two ranked opponents, but fell in this Week 3 contest at 3A No. 4 Phillipsburg, 31-16. For this winning photograph, Rachel is now eligible for our 2016 Grand Prize including $500 in cash.